This item is available as a Blem/Refurb. These are items that cannot be sold as "New" merchandise and are limited to stock on hand. See the product details for a description of the product's condition. 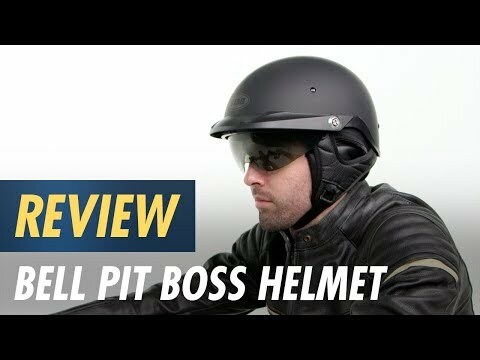 The Bell Pit Boss Helmet is a premium half helmet offering features like a lightweight TriMatrix shell, internal sun shade and the Speed Dial adjustable fit system to ensure a customized fit every time. The Pit Boss owns the road. Decent helmet for the price. I like the sun visor so I don't have to carry shades since I wear glasses. The ability to adjust size is useful depending on weather, hair thickness and head shape. Great helmet, fits well and nicely designed. I have no problem with lift at high speeds, the dial is a great option to use for a perfect fit. Best helmet I could find for a small head. 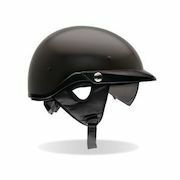 I'm 44 years old, 155lbs, and a YOUTH size head :( It has been so difficult to find a helmet without the mushroom effect. Even the Dayton Skullcap looks horrible. Bought this helmet today and I absolutely love it. By far the least amount of mushroom effect I've found after trying on 3 dozen or more styles. Highly recommend. Good fit I like how it feels. I liked this helmet before I purchased so it was an easy call. 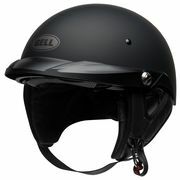 I've always been happy with Bell helmets, they look good and hold up well. Good fit, snug but not too tight. Looks good and feels good too. Cycle gear are the best. SO got this helmet looking for a helmet that dident sit high on my head. being an f6b rider anyone who has one knows the turbulence off the wind screen is not good. in fact its horrible. so i thought this helmet with its non round low profile shape would solve alot of this turbulence based on its design, i was 100% right. i took the gamble and i was totally impressed. it cut the turbulence to about 95% compared to a 3/4 helmet i was using . 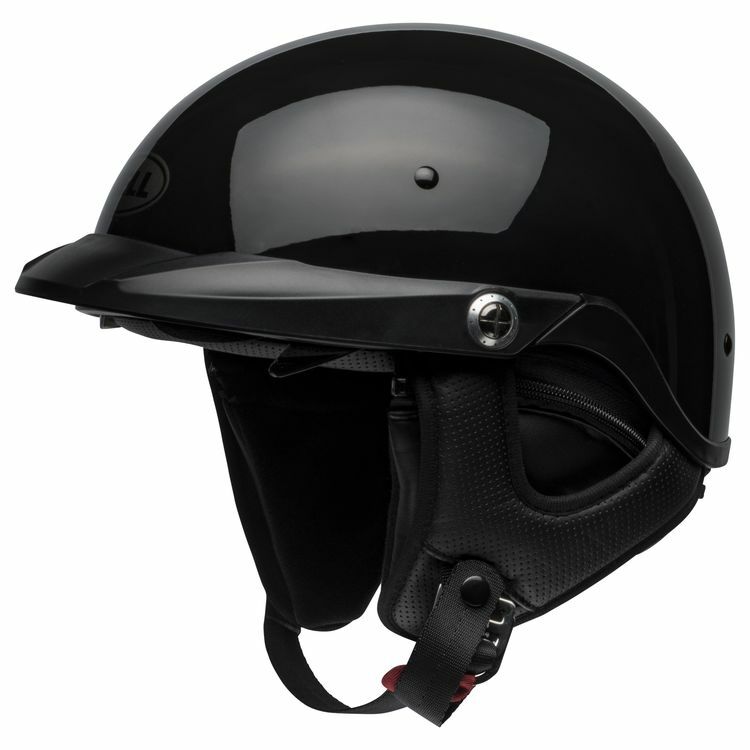 so if you ride the f6b this helmet is a must. I have had a number of half helmets over the years. The Bell Pit Boss has been the best so far! It fits perfectly with the adjustment knob. This thing is great. Bought 3! Can you add face shield? No...there is a flip down google that you can switch out for different colors.